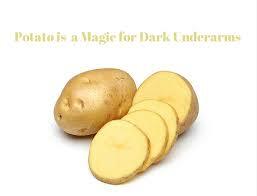 All remedies for skin conditions externally by natural methods as well as mind and soul cleansing also. Hi everyone! This post is dedicated to all my followers who had asked for remedies but i could not answer them due to my unavailability..Sorrry again. 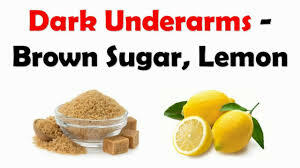 The most common reason for dark elbows is lack of moisturizing and continuous friction caused on them.Also the collection of dead skin cells.So the first and important step is to exfoliate the dead skin with a mask made of gram flour and curd.Rub it gently and massage on the area after it slightly dries.Then apply moisturizer. Lemon juice is a natural bleach as I keep mentioning so mix it with curd and apply. 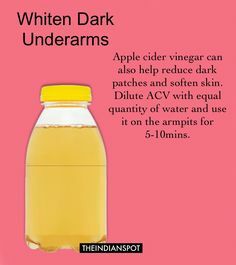 Vinegar with water and hydrogen peroxide will also lighten the elbows. Turmeric,cucumber juice and lemon, mix them together and apply .Leave for 20 min and then wash.
Apple juice with curd is also a great mixture for the purpose. Coconut oil mixed with oatmeal and milk will help.After removing cover with a hot towel and then later apply moisturizer. 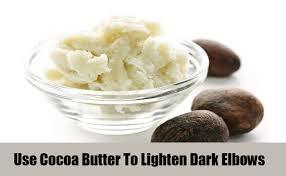 Apply castor oil every night .Massaging with it will help in the improvement of dull skin . Tomato juice applied with rice flour will also be useful. Coconut oil with lemon ,leave it for 20 min.Remove it with cold water. Sugar mixed with aloevera gel applied and rubbed gently also helps. Baking soda added with olive oil should be massaged every alternate day to see the results. After the packs moisturize the skin as then only it will show results. I try above tips and i get result is very good for me. I hope you collect more information about Dark Elbows than publish article. Thanks for sharing your great ideas. I like yore article. Every tips are very useful for me. I attract by that. Every thing looking so beautiful. Great information which you share above. I am so excited for read more information. Grate information which you share above. Every thing are very informative for us. I impressed by the tips which you share above. I have read your article and it such a very informative for me. I appreciate of your work. thanx all for your appreciation!! Dark elbows and underarms are the first concerns of teens at the start that they feel conscious about their appearance. These remedies are very helpful to many of us. Thank you very much for sharing. been surprised me. Thanks, quite great post. Finally I have found something that helped me. Thanks! Here has some formula. If is it effective , its a very good information. Alexandre Yersin first discovered the plague disease bacteria. For this reason this bacteria is called Yersinia pestis. According to a WHO news release, the plague is one of the three most common epidemic diseases in Bangladesh. By different types of via plague bacteria transmit to human body. Such as undercooked food, air, animal bite. The main cause of plague in Bangladesh is wild rats which carry the plague bacteria. Recently this disease has spread out to china by rat. WHO published that Bangladesh is taking immediate steps to prevent the disease. However, the plague is rapidly increasing in China, especially Qinghai province near Ziketan Town. Four people have died in that town. Plague bacteria can easily transmit human to human by coughing according to WHO. IEDCR director said plague can quickly turn into epidemic form. This bacteria directly infects the glands. Everyone need to drink fresh water for prevent and eliminate the disease. While a zapper such as Hulda Clark Zapper can help to make fresh water within 1 hour, it is not sold for that purpose. It is good at killing many microbes such as bacteria and may be of value in stopping Yersinia pestis. LOOK FORWARD TO HEAR FROM YOU! A dedicated, honest and a fun loving person who loves to travel the world,inspire people and learn from them.Interested in working with honest and committed people.